This is a very unusual autobiography, written by a very unusual man. Don Rickles is known the world over for his short and snappy comments, wait, make that insults. He has regaled audiences from The Elegante, on Ocean Parkway in Brooklyn (I had my Bar Mitzvah there) to Las Vegas, Hollywood, London and all points in between. 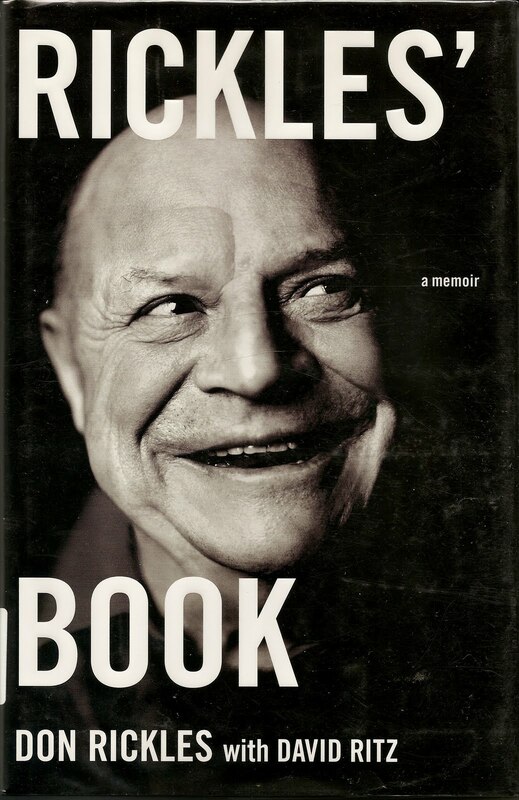 To be honest, when I saw this book on the shelf, I was expecting a serious tome about Mr. Rickles humble beginnings. Instead I got a book that is quickly read, highly informing and very entertaining. He writes like he delivers his jokes, the longest chapter is about 3 or 4 pages. And he dishes out some great stories about the exploits of his friends, including such luminaries as Johnny Carson, Frank Sinatra, Dean Martin, Queen Elizabeth, Larry King; there are simply too many to name them all here. In an amazing compilation of these short chapters, Mr. Rickles manages to give a coherent and chronological account of his life. His chapter about being in the Navy during World War Two is hilarious. He wanted to be in Special Services, entertaining the troops. His account of where he did wind up, and how he felt about it is laudable. Tracing his life through the post war years and his fledgling show business career, he introduces the reader to the world of show business in the 1950's and 1960's. The contracts, the bookings, all the travel arrangments required before the age of computers, are all laid bare. And through all of the problems there is one constant, Mr. Rickles sense of humor. His 40 year friendship with Bob Newhart is one of my favorite chapters. I have never been a big Bob Newhart fan, but how these two totally opposite of men became such close friends is a remarkable tale all of it's own. It is also a tribute to their wives and the power that women generally hold over their men. Filled with many fun stories, for instance, did you know that Mr. Rickles sent a tape to the Moon with Gene Cernan aboard Apollo 17? Or, that he took a bullet in the leg during the filming of "Kelly's Heroes?" And if you liked the film "Casino", there is a chapter here for you as well. Mr. Rickles has appeared in every entertainment medium since TV. He has acted in films with Clark Gable, and has had guest appearances on every TV sitcom that you can name. I still remember him as the inept street salesman on the Andy Griffith Show. So does Andy Griffith. A short book (237 pages) written by a man who is motivated by his friendships and a love of show business, this book is the perfect vehicle to relax with. It will inspire the reader to have a better day.